Migration watch; 07.35 - 10.40hrs. On the move (south unless stated) were 13 Swallow + 1 north, 21 Sand Martin, 8 Meadow Pipit, 7 Goldfinch + 1 north and 12 Linnet + 18 north. 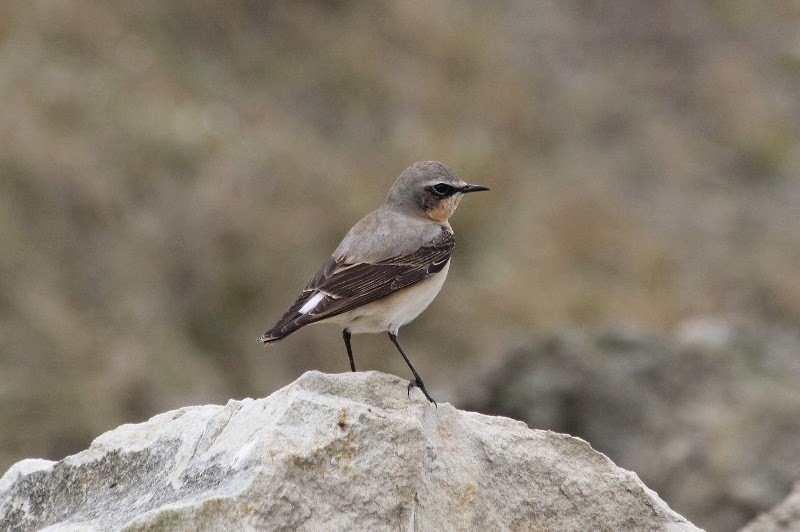 A few migrants arrived along the coast with 12 Wheatear between Long Nab and Castle Hill, a male Ring Ouzel at Ravenscar with a further 2 along South Cliff. The only other noted migrant was a Willow Warbler in Style Scrub. The Garganey, 2 Shoveler and 9 Teal were on Johnson's Marsh, the Red-breasted Merganser was at Scalby Mills, 2 Sandwich Tern were in North Bay, 2 Little Ringed Plover were at Seamer Tip, a Bar-tailed Godwit was in Jackson's Bay, 2 Little Grebe, a Common Sandpiper, a Goldeneye and a Wheatear were at Wykeham South Lake, the Scaup was still at Peasholm, 32 Purple Sandpiper were in the Harbour and 2 Little Ringed Plover, 2 Shoveler and 4 Shelduck were on Scalby Lodge Pond.